Dolce & Gabbana are known for elegant outfits. However, this time they decided to create something for lovers of beautiful and classical make-up. And that is how three lipsticks were created: Miss Dolce, Dolce Rosa and Dolce Mamma. 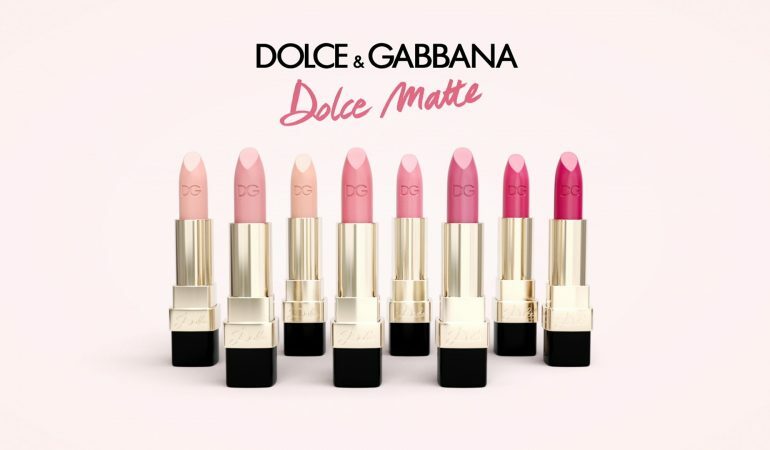 Dolce Matte Lipstick from Dolce & Gabbana was designed for women with various types of complexion. That is why, in the new collection we will find 11 shades of pink (Dolce Matte Lipstick In Rose) and 13 shades of red (Dolce Matte Lipstick In Red). The palette of colours is wide so every woman will surly find something for herself. All lipsticks have matte finish. If you prefer some gloss on lips then apply colourless lip gloss on the lipstick. Thanks to Dolce & Gabbana your lips will be beautiful and well taken care of. This cosmetic ensures moisture and smoother, highlights shape of lips, gives proper cover and intense colour. Thanks to Dolce Matte Lipstick products you will be able to create elegant and classical make-up. 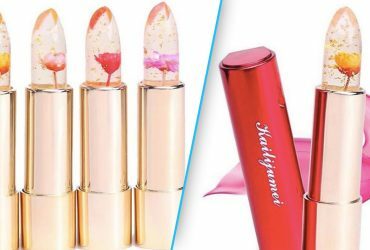 The fact that lipstick has a bit rounded tip makes it much easier in use, because stick will adjust to lips and that will allow creation of dream make-up. You don’t need to use lip liners or any other cosmetics. How should you use Dolce & Gabbana lipstick? If you want lipstick to stay on lips longer then perform sugar-honey scrub prior to application. Exfoliation will smoother epidermis and nourish lips. You can apply Dolce & Gabbana lipsticks in two ways. With small and pointed brush apply cosmetic on lips, starting in the middle of lips and slowly moving outwards. You can also apply Dolce & Gabbana with finger tips, then all you need to do is tap in cosmetic into skin; this way you can apply few layers of the cosmetic. Lip liner – How to use it to look good? How to take care of lips? Total Lip Treatment by Sensai Cellular Performance.